Idling stop helps limit unnecessary fuel consumption while idling, and an electric power steering system that only uses power when steering has been used. 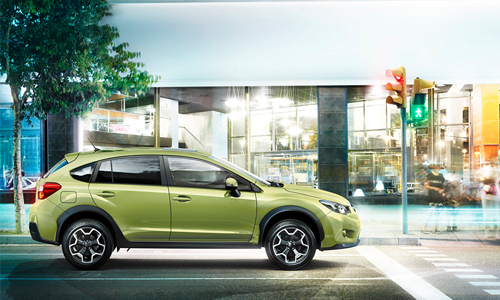 The “Idling Stop System” powers down the engine automatically when the car comes to a stop, limiting unnecessary fuel consumption and exhaust gas emissions. The engine cuts out approximately 0.5 seconds after pressing the brake and stopping the car, and restarts again just 0.35* seconds after releasing the brake pedal. The result is an extremely environmentally-friendly package. 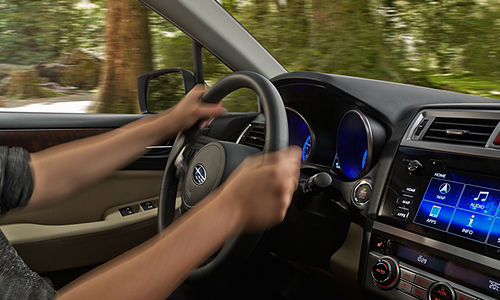 Subaru has employed electric power steering in contrast to hydraulic systems. Electric systems are 2 to 5% more efficient compared to hydraulic systems.